All Aboard! Do you have a mini (or full-sized) train enthusiast in your family? The Workshops Rail Museum is a colourful and exciting outing for children, and it’s only a 40 minute drive from the Brisbane CBD (it’s located in Ipswich, view map here). I love this place. It’s one of the BEST outings we’ve taken our family on in South East Queensland. 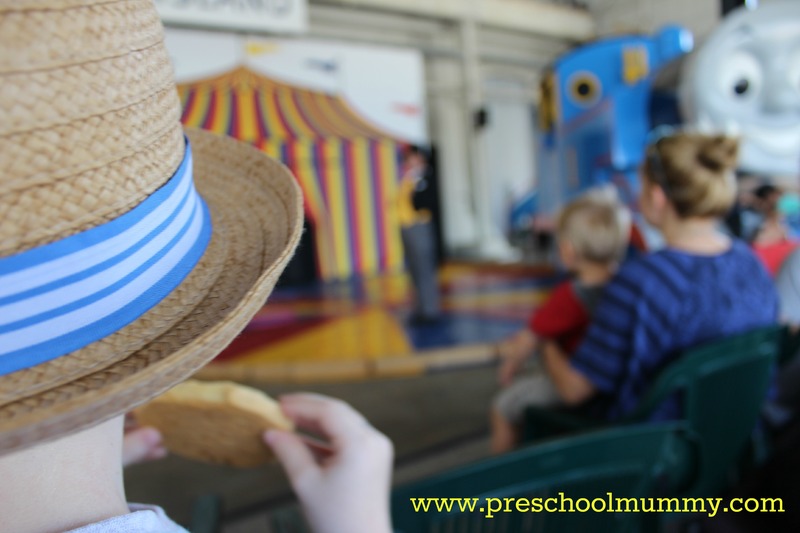 We have visited the museum several times, and it’s always a hit with our pre-school-aged kids. 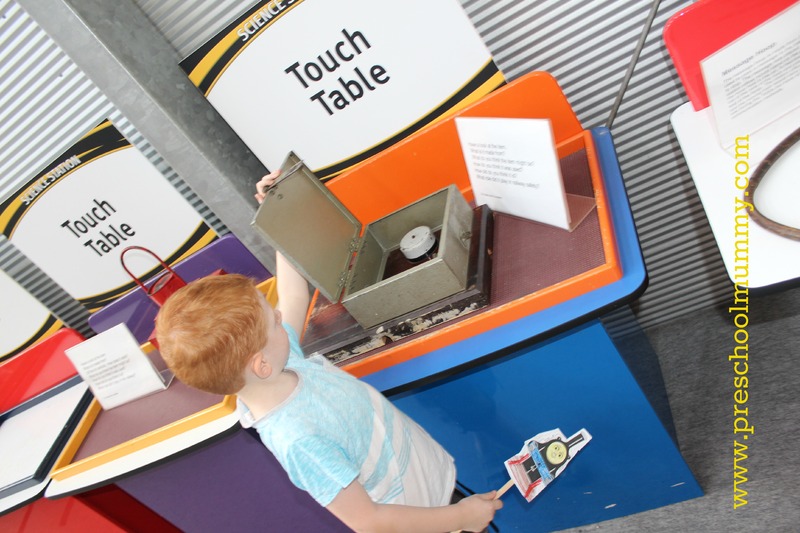 The museum staff have succeeded in ensuring that there’s plenty for little ones to do, as well as catering to school-aged kids and adults alike. We’ve been in January 2012 and 2014, when the Day Out With Thomas exhibition has been running, so some of our photos reflect that particular theme, whilst others show activities that operate year-round. We decided to go for the afternoon (after naps were done and dusted). What’s in a name? The Workshops is actually still a functional railway workshop, and even prior to its rebirth as a museum in 2002, the site was an important part of Queensland’s locomotive history. Entering through the old-fashioned timber ticket office, it’s evident that the curators of the museum placed value in maintaining that rich history and origins of the location during the restoration and transformation. But the museum is also a place where children are encouraged to play – in such a participation-rich, inclusive kind of way. As soon as we exited that beautiful old ticket office, my two boys gravitated ran toward an old steam engine wearing a Donald-from-Thomas-and-Friends mask. It’s an ingenious idea – decorating the museum’s artefacts with a popular children’s theme. There’s no stopping them when they spot a familiar and friendly face! 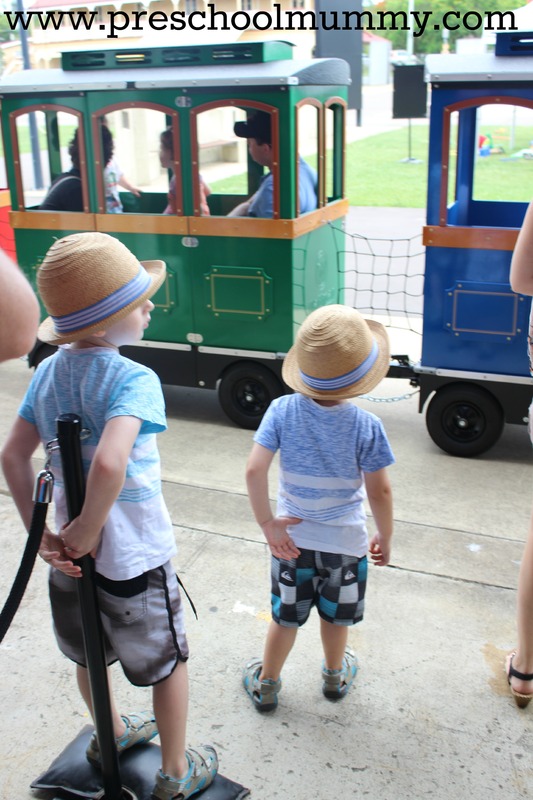 It wasn’t long before the kids spotted the little train ride doing the rounds, and if your kids are like mine, you’ll know a mini train ride is impossible to resist. You do have to purchase tickets for the rides separately (inside the museum gift shop). There’s plenty of space to leave prams and the children had a ball viewing the workshops, without wearing out their little legs. Again, very clever. Props to you, staff. Seriously, who can resist a ride on a miniature train? After the train ride it was time for the Fat Controller’s show, so we grabbed a spot in the colourful stage area, and I ducked off to the adjacent cafe to collect a coffee and a gluten-free biscuit. I want to mention here another great thing about this venue: visitors are welcome to bring their own picnic and snacks. As a mummy this is seen as a great benefit (I personally really dislike places that don’t let you take in food, especially since our family became gluten-free. But that’s another post for another day). Another tick for you, Workshops! The show was interactive, and featured a charismatic Fat Controller with a pretty convincing Yorkshire accent. His show involved a story, some dancing and some singing too (Mummies of Thomas-lovers will sing along with the theme song, having stored it somewhere deep in their subconscious). My big guy enjoying a treat while enjoying the show. From here it was a quick pose for a family photo with the Fat Controller (becoming a bit of a tradition), before heading inside to the main museum building. Idol met/climbed on/hugged. Mission complete. Informative and engaging, my boys (all three!) were mesmerised by this detailed model train. There’s a huge model train set, complete with iconic Queensland scenery and surrounded by interactive information boards. We stayed here quite a while! We escaped the heat in a blissful, air-conditioned space full of train sets for kids to play with! Here’s where I gave the baby a quick feed. There was also a great little area with toys and books, all railway-themed and age-appropriate for toddlers-to-preschoolers. I didn’t want to leave this area; it was fab. But it was time to go have a good play, and there was no holding them back. No hands-off policy in this exhibit! “Look at this cool old stuff!” said my preschooler, and raced toward a child-height touch-table. We had a turn at guessing what each thing was, and what it’s purpose was, and got a few funny surprises! By now Baby had a full tummy and was ready for a sleep in her pram, so it was a perfect time for Daddy (a bit of a train buff, himself) to push her around and check out the “grown up” exhibits. The boys and I sat in the colourful craft area and they enjoyed some making time. Remember to wear enclosed footwear if you want to check out the workshops! Next we all headed to the Nippers area, where there’s a track, and plenty of little trikes to ride on the track. Imagine a kid-sized village with a train station, workshop, bridges and signs. There are even dress-ups! Fun! This was a thoroughly enjoyable excursion for our little family of five, and our little boys showed their appreciation for busy, fun-filled day out by promptly falling asleep in the air-conditioned car before we even left the City of Ipswich. Resources and planning your trip information on The Workshops website. Previous Post “Mummy, I’m a sauce lid”. That awkward moment when you can’t understand your own kid. Mr 4 loves playing polar express with his trains and miss 2 loves the duplo counting train. My kids love using their trains and tracks from IKEA. They love making different track shapes. Miss Almost Five especially enjoys using boxes to build train stations and bridges. Hours and hours of fun!! Our wooden train set is a fail proof entertainment set for my boys – Thomas the tank engine has always been a hit! Love the classics, too. Good luck! Our 2 and 3 year old boys like arranging the kitchen chairs in a long line to make their ‘train’ and then they tussle for front position to be the prized ‘driver’. Sometimes there are two drivers, one at each end of the chair train! That’s so cute, Pet! Great sharing, guys, and great problem-solving! GL! Harrison’s favourite game is mummy chugging around the lounges saying choo choo while he sings playschool train songs! A great way for me to get fit! Love it Vanessa! The things these kids make us do 😉 great fun though! That’s a great idea Di, I’ll be looking into that app! Good luck! My daughter’s favourite Thomas the Tank Engine book is Thomas and the Big Race. Our train table is a mix of Thomas trains, KMart trains with buses and trucks, and a few Ikea pieces. Her favourite game is to play out the Thomas and the Big Race storyline where Thomas is having a race with Bertie Bus and people stand around cheering, they go through tunnels and over bridges and eventually Thomas wins! Fantastic Kristy! Sounds like your daughter has a fabulous imagination and knack for story play! GL!